While most revellers were sleeping off the night before, more than 1,000 young Muslims took to the UK’s streets to help clean up after New Year’s Eve . 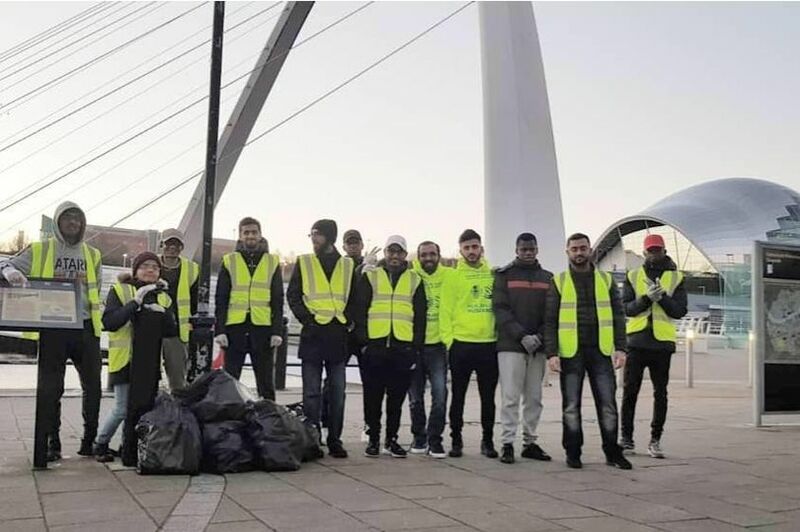 Members of the Ahmadiyya Muslim Youth Association (AMYA) were up early on New Year’s Day to pick up rubbish and litter from the streets of 50 British towns and cities – including Newcastle. The young people wrapped up warm against the early morning chill and were all smiles when they finished their New Year’s Day clean-up and posed with lots of full bags. The organised “big street clean” saw more than a thousand volunteers help pick up rubbish from London to Glasgow as part of AMYA’s winter charity campaign. Muzaffar Ahmed, from Gateshead , said the group started the new year by “giving back to the community”. “AMYA has and continues to instill young people with a sense of civic responsibility, and a desire to promote harmony within our local communities. 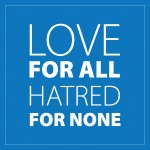 AMYA is the largest and oldest Muslim youth group in the UK.